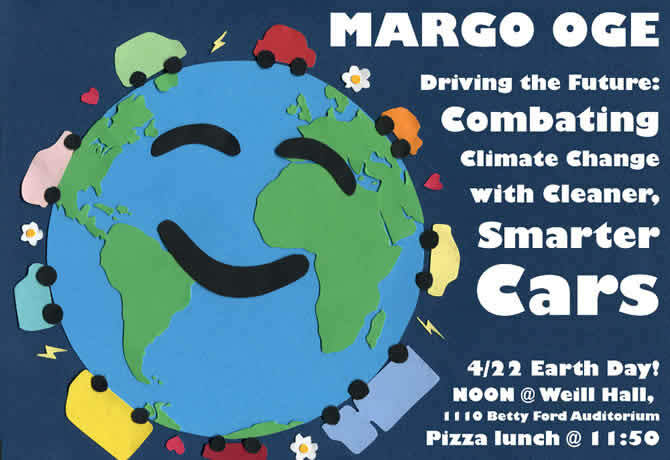 Join us for a student workshop lunch and conversation with Professor Jennifer Haverkamp discussing about International Climate Change Diplomacy. If you are interested, please sign up here. Indo-Pacific Conference organized by International Policy Center and Center for Japanese Studies features a keynote by Susan Thornton, Assistant Secretary of State for East Asian and Pacific Affairs. The Critical Race Theory (CRT) Discussion Series is co-sponsored by the Ford School and the University of Michigan Law School. Graduate and professional students are invited to join us for our first session, "A primer: Critical Race Theory and Public Policy." Lunch will be provided. Student panels will discuss the implications of their independent research projects on state and local environmental policy on issues including water, energy, climate change, and land use. This event showcases the work of Ford School BA students enrolled in a section of PubPol 495 that is part of the CLOSUP in the Classroom Initiative. Join us for an in-depth look at informal electronic waste recycling communities in Ghana, Thailand, and Chile. The United States has seen dramatic growth in energy development with much of it occurring on privately owned lands, creating a unique raft of opportunity and risk for landowners. The presentation reviews research on the nexus of property ownership rights and regulatory policy, with a focus on Shale and Wind Energy. It introduces the concept of 'Private Participation' in the planning and siting of energy projects and discusses how private property ownership will continue to influence the energy revolution. Vivian Thomson will offer an insider’s account of how power is wielded in environmental policy making at the state level. Drawing on her experience as a former member of Virginia’s State Air Pollution Control Board, she narrates cases in Alexandria, Wise, and Roda that involved coal and air pollution. She identifies a “climate of capitulation” —a deeply rooted favoritism toward coal and electric utilities in state air pollution policies. Thomson links Virginia’s climate of capitulation with campaign finance patterns, a state legislature that depends on outsiders for information and bill drafting, and a political culture that tends toward inertia. She extends her analysis to fifteen other coal states and recommends reforms aimed at mitigating ingrained biases toward coal and electric utility interests. 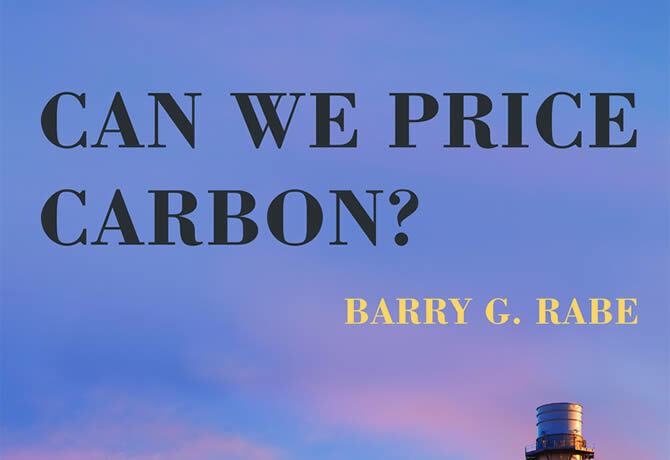 Can a carbon price survive in a highly decentralized, fossil-fuel producing nation that is tightly integrated with the economy of the United States? Against the backdrop of worldwide interest in carbon pricing as a way to meet commitments made in Paris, and in the context of a Trump presidency, this talk examines the history, origins and prospects of carbon pricing in Canada. 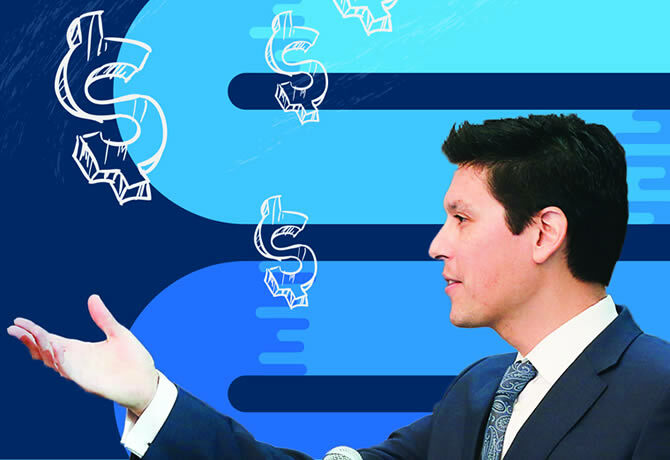 The talk will focus on recent efforts at developing a national carbon price framework at the federal level, the challenges now facing the current federal government as it moves toward implementation, and the prospects for carbon pricing in the future. Specific attention will be paid to the role of recalcitrant provinces, a divided public, and the influence of political developments in the United States. The talk will also explore key controversies over carbon pricing, and highlight potential lessons from the Canadian experience. Student panels will discuss the implications of their independent research projects on state and local environmental policy on issues ranging from recycling and food policy to water and energy. Development of the Bakken formation represents a multitude of trade-offs. The region is one of the great granaries of the world, but it is also the site of a recent oil and gas boom made possible by hydraulic fracturing. Overlapping with these natural resources is also a grasslands biome - one of the largest areas of grasslands in Canada and the US, which contains breeding grounds for millions of birds. How local residents understand the landscape is crucial to making fair and adequate policy to protect the ecosystem and the economy. This talk examines how landowners grapple with economic, environmental, and social trade-offs when making decisions about land-use. The most recent comprehensive state environmental index is over 25 years old. Hall & Kerr's 1991-1992 Green Index uses 256 indicators to gauge the environmental performance and policies of every state and it is still being used today in lieu of any suitable replacement. American University's Center for Environmental Policy is creating a new state environmental index to assess the ecological efficiency of each state. Come hear American University's Riordan Frost discuss the preliminary results of this index, and learn more about the challenges and hard decisions inherent in constructing an index. During the past two decades environmental issues and especially climate change have become very divisive issues in U.S. politics, both among political elites and lay persons. This presentation will track these developments with longitudinal data, paying special attention to trends in partisan polarization over climate change using Gallup Poll data from 1997 to 2016. The 2016 general election will have enormous implications for energy and climate policy in the United States. While much attention will be paid to the positions of presidential candidates, congressional and state elections will also have major implications for how federal and state governments address a variety of crucial issues such as implementing greenhouse gas reduction policies, regulating fracking, crafting subsidies for renewable energy, and much more. Experts with a variety of perspectives will discuss which elections they’re most closely watching, and what different results might mean for energy and climate policy in Michigan, Washington, and beyond. 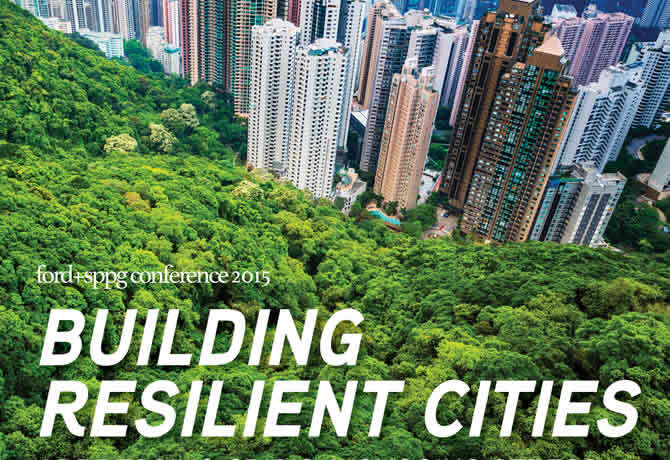 Reclaiming the atmospheric commons: a new strategy for climate policy success? This interdisciplinary symposium focuses on contemporary and historical cases analyzing the relationship between climate change and social conflict in the Middle East. How do Americans think about energy? Is the debate over fossil fuels, nuclear power, and renewable energy highly partisan and ideological? Are people’s preferences for different energy sources idiosyncratic, or is there a common pattern that explains how people view energy across sources? How much does concern about climate change weigh on these opinions? The Center for Local, State, and Urban Policy (CLOSUP) invites our Washington DC colleagues to attend a discussion hosted by the Wilson Center/Canada Institute featuring CLOSUP Director, Barry Rabe, and our collaborating National Surveys on Energy and Environment (NSEE) partners, Christopher Borick, Director, Muhlenberg Institute of Public Opinion, and Erick Lachapelle, Assistant Professor, University of Montreal. 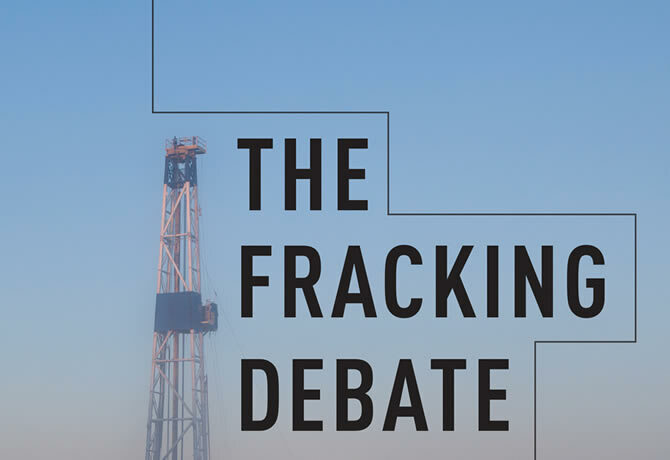 The discussion will feature findings from the FALL 2015 round of ongoing survey work in both Canada and the US. Key themes will include public views on whether climate change is occurring, response to a range of possible policy options across levels of government, and reaction to Pope Francis' recent engagement on the issue. The U.S. portion of the survey will also include an early look at how Americans want their states to respond to the new Clean Power Plan. The session is free but requires registration. Please call 202-691-4000 or email canada@wilsoncenter.org to reserve your seat. 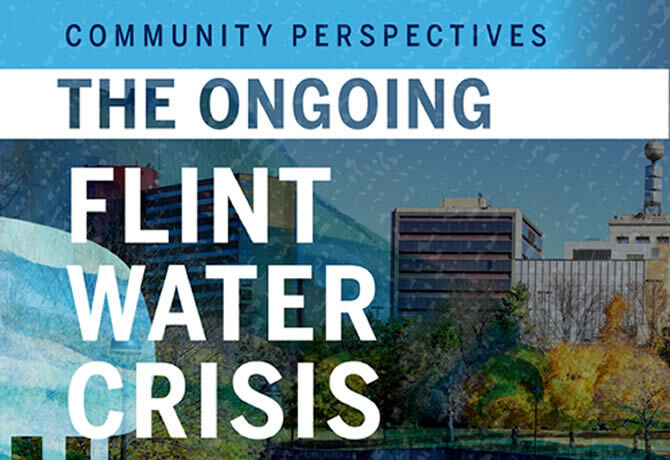 Mayor George Heartwell will talk about challenges and successes of implementing sustainable practices within the City of Grand Rapids. Free and open to the public. CLOSUP welcomes guest speaker Ian Rowlands to discuss policies and politics of renewable electricity in Ontario, Canada. This lecture will examine the ways in which electricity generated by renewable resources (like solar and wind) have been encouraged in the province of Ontario (Canada) during the past 20 years. This program features some of the best scholars of interest groups, policy advocacy, and social movements in the country. The papers presented span three disciplines (Political Science, Economics, Sociology) and include work that is experimental, formal, historical, comparative, qualitative, and quantitative. They deal with a number of topics, including corporate and nonprofit advocacy, health and environmental policy, and campaign finance. Carl Simon, director of the University of Michigan Science, Technology, and Public Policy Program, moderates this panel on transportation policy featuring Peter Sweatman, UM's Transportation Research Institute (UMTRI); Matthew Naud, City of Ann Arbor; and Shannon Bouton, McKinsey Center for Business & Development. From Cambodia’s forests to its rivers, from its idyllic rice fields to the capital’s pulsing heart, forces of radical change are transforming the landscape of the country – and the dreams of its people. A River Changes Course intimately captures the stories of three families living in Cambodia as they strive to maintain their traditional ways of life amid rapid development and environmental degradation. Award winning filmmaker and director Kalyanee Mam will offer introductory remarks, and take questions from the audience following the film screening. Please join us for the latest installment of the ELPP Lecture Series. Professor Michael Wara, Associate Professor of Law at Stanford Law School, will be the featured speaker. A non-pizza lunch will be served. This event is free and open to the public. Oil and gas development has increased substantially in the United States over the past decade, largely associated with shale resources. This increase has important implications for local government’s financial capacity to provide quality services to citizens. This talk will provide an overview of the major revenues and service demands (i.e., costs) associated with new oil and gas development for local governments, along with the net fiscal impact to date for county and municipal governments across ten oil and gas plays in eight states: Arkansas, Colorado, Louisiana, Montana, North Dakota, Pennsylvania, Texas, and Wyoming. Severin Borenstein will discuss the economic changes that are likely to occur in the utility business model as renewables expand: how wholesale electricity markets will be affected, the impact on retail electricity distribution, and the incentives created for generators, distributors and consumers of electricity. He will also examine the role of demand response, storage, and transmission in adapting to the new realities of the electricity business.